For the past few decades, Tottenham Hotspur Football Club jave seemed caught in a cyclical pattern. Bring along a promising player, developing them into a highly prized commodity. Fail to convince them the club can match their needs/ambition/desires/etc. Receive repeated and increasing bids for their services from those in greener pastures, eventually culminating in Spurs folding to the player’s demands to sell them on. Rinse and repeat. is super jan super sad? All of this in spite of repetitive public declarations of the club’s desires to challenge for Champions League places and domestic glory. And it doesn’t take a genius to know that regularly selling on your best players and hoping to replace adequately them with cheaper options is a risky approach. Notable recent examples include Gareth Bale and Luka Modrić’s protracted transfers to Real Madrid for an estimated £140 million. Before that were Dimitar Berbatov and Michael Carrick’s sales to Manchester United. The sale of Paul Gascoigne to Lazio in 1992 and the traitorous move of Sol Campbell to Arsenal — though not a sale but a free transfer — are further examples. Simply put, Spurs just have a hard time retaining their finest talents. Exceptions exist, of course: think of someone like club legend Ledley King who spent his entire career with the club. But then again, you could be forgiven for wondering if he would have moved on too had his knees been more reliable. But this is all old news, right? Why harp on about it now? Because one of our most valuable assets is once again publicly complaining about his experience at Spurs. And as we’ve seen before, that’s usually a bad omen for their long term prospects in North London. And this time, it just so happens to be our superhero-esque Belgian defender Jan Vertonghen. At least that’s what he’s told The Sun. In a recent interview, Super Jan expressed his displeasure with being played out of position as a left back recently. Instead, he wants to be played at his preferred position of central defense. 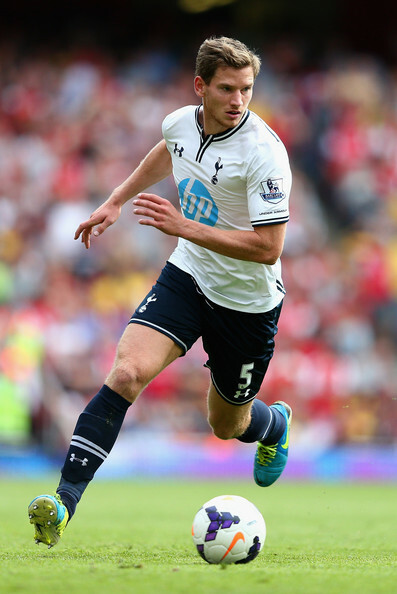 To Vertonghen’s credit, he was purchased with the intent of being used as a center back. Already the Belgian is one of the top central defenders in the league, as evidenced by his inclusion in last season’s PFA Team of the Year. Unfortunately, current circumstances override the desires of any single player. 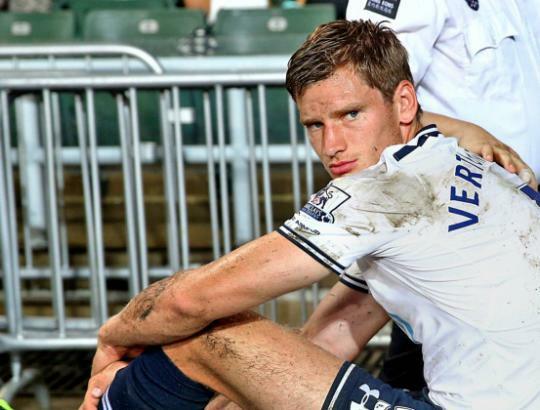 And right now, Vertonghen is probably Tottenham’s best option at left back. With Danny Rose still not returned from injury, Kyle Naughton a square peg for a round hole, Zeki Fryers still a bit too green, and Benoit Assou-Ekotto mysteriously loaned to QPR, that leaves Jan as the best stand-in Spurs have got. He’s obviously fine defensively and more than comfortable pushing forward, and an argument could be made for him being possessing the finest service from the flanks in the team. Don’t forget too that he also plays left back regularly for his national side, as he’s been crowded out of the middle thanks to presence of fellow Premier Leaguers Thomas Vermaelen and Vincent Kompany. And it’s this versatility that is the root of the entire problem. vertonghen is not a man spurs can afford to unsettle. While Vert was clearly brought in to fill King’s massive shoes at the heart of the Tottenham backline, his adaptability must have also been appealing to AVB. And since he can be deployed on the left, might that have made the management team a little comfortable with the thought of embarking on a campaign with such limited back up options? It’s a pertinent question to ask. And it leads to other questions like, why would you loan out a quality player like Benny when you know that Jan doesn’t like to play at full back? It’s not like he hasn’t made mention of this before either. One of the big reasons he chose Spurs over Arsenal in the first place was due to Wenger’s plans on not playing him as a centerback either. And while all signs point to Vertonghen being happy at White Hart Lane right now, choosing to put him in a position where he’s openly saying that he doesn’t like how he’s being utilized is a great way to sow the seeds of doubt. Now it’s quite possible it wasn’t the club’s intention to put the guy in that spot. It did seem likely for a while that Fábio Coentrão would come over as a part of the Bale deal this summer. Or maybe this underlines just how much AVB didn’t want Benny in the squad? Regardless, it seems a risk the club shouldn’t really be taking. Veronghen is future captain material. He’s 26 and can be the cornerstone that we build the team around for the next half decade. And he’s the kind of player that, if unsettled, ample suitors will come out of the woodwork for. Although knowing the Spurs’ cycle, maybe that’s plan after all.